Domestic Infant Adoptions can be completed through agencies and adoption attorneys. They can help prospective adoptive parents adopt domestically. 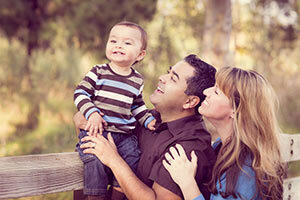 Click here for a directory of adoption service providers in California. International Adoptions must be completed through through agencies and adoption attorneys. They can help prospective adoptive parents adopt internationally. Find an international adoption service provider here. Foster Care Adoptions in California can be completed through the California Department of Social Services (877-846-1602). Join the California adoption group in our community! >> Can I adopt in California? >> What Adoption regulations exist in California? 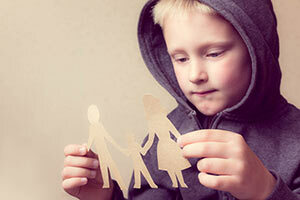 >> Is adoption assistance available in California? Can I Adopt in California? Parents wishing to adopt a child will need to pass a home study conducted by a licensed adoption agency from the county in which they reside. During the home study, the home will be examined to see if it is safe and clean, if there is enough room for the adopted child, if applicants have experience with children, and if they can afford to have another child in the home. Aside from the physical home, social workers will check the parent's physical and mental state to ensure they are ready for another child. What Adoption Regulations Exist in California? Advertising: Only licensed agencies and adoption attorneys can advertise in order to place a child for adoption. Relinquishment: In a direct placement, the mother has to be discharged from the hospital before she can consent to an adoption. If the child is discharged before the mother, consent can be given from the mother with verification of competency from her physician. Relinquishment to an agency can occur at any time after the child’s birth. Birth parent expenses: The birth parents may request in writing that the hopeful adoptive parents help pay medical, hospital, counseling, or living expenses. The birth parents must present receipts to the hopeful adoptive parents for any money provided to the birth parents. The adoptive parents then present the receipts to the court. Any expenses that exceed reasonable hospital expenses and necessary living expenses are unlawful. Post-adoption contact agreements: Post-adoption contact agreements are legally enforceable in California as long as they are included in the final adoption decree. The court granting the adoption petition holds final jurisdiction over the contact agreements enforcement. 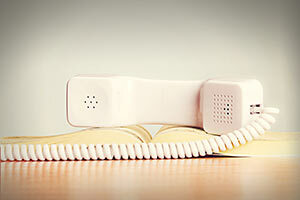 Contact agreements are only enforced when both parties have tried and failed mediation. Birth father rights: Before an unmarried couple leaves the hospital after the birth of their child, they will both be presented with a form for voluntary acknowledgement of paternity. Hospital staff then witness the signing of the document. Unmarried fathers who sign a voluntary acknowledgement of paternity have the right to receive notice of adoption proceedings. Finalization: Children must live with hopeful adoptive parents for at least 6 months before the adoption becomes final. The 6 month period can be waived if the parents have successfully adopted a child from California within the past 5 years, if the applicant is in the U.S. Military or American Red Cross, or in the case of a relative/stepparent adoption. 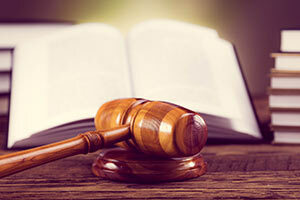 Review California adoption laws in detail. Is Adoption Assistance Available in California? Many of the children waiting to be adopted in California have special needs. Federal (Title IV-E) and state (non-IV-E) programs exist to help adoptive parents meet their child’s needs. In California, monthly payments range from $700-883 if the adoption was finalized after May 27, 2011. To see if your child qualifies for an adoption subsidy and what amount of aid is available, please visit NACAC.org. It is always possible to adopt a child from out of the country. If you are considering a foreign adoption, you will need to find a licensed international adoption agency in California. Hague Convention adoptions are recognized as a final adoption in California. Readoption, the process by which a U.S. state court issues a final adoption decree separate from a foreign adoption decree stating that the child has been legally adopted according to the laws of a particular state, is only required in certain states. California law requires parents to readopt a foreign child if it is required by the U.S. Department of Homeland Security to do so. In cases where the child is coming to the U.S. on an IR-3 visa as opposed to an 1R-4, the adoption will have to be finalized in the state of California. An IR-4 visa can be issued if either parent cannot meet the requirement to travel abroad before or during the adoption process to meet the child. Readoption in this case will almost always be a requirement. Readoption can potentially be waived if the state provides sufficient proof to the U.S. Office of Citizenship and Immigration Services (USCIS) of a recognition of a foreign adoption decree. Adoptions in California can be completed through the California Department of Social Services. Parents will need to pass a home study. During the home study, the home will be examined for safety and cleanliness and available space. Parents need to have a stable income. Only licensed agencies and adoption attorneys can advertise in order to place a child for adoption. In direct placements the mother has to be discharged from the hospital before she can consent. If the child is discharged before the mother, consent can be given from the mother. Relinquishment to an agency can occur at any time after the child’s birth. In direct placements parents have 30 days from the date of executing consent to revoke. In agency adoption, consent is final upon execution unless an adoptive parent has been named and placement has yet to occur. In this case, parents have 30 days to revoke.